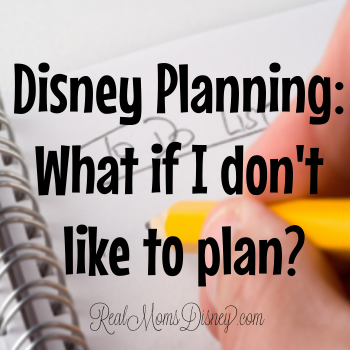 Real Mom's Disney: Disney Planning: What if I don't like to plan? It would be awesome if we could live in a Disney commercial, but that’s not reality. You can go to Disney and do things differently than we do – but your expectations must be different as well. A Disney trip takes planning. So does a trip of any other kind. You have to choose a time to go, a place to stay, how you’re going to get there, decide on a plan to feed your people while you’re there, and figure out how much it will cost and how you’re going to pay for the trip. So that part of planning a Disney trip really is not much different than any other vacation. So let’s take a look at some things you can do to alleviate some pressure on those who want to go to Disney but prefer not to plan as much. 1. Don’t stress yourself out. Yes, it’s a big trip, but no one can see or do everything in one trip. That’s why people generally love to go back over and over! 2. Ask for help. I’m sure you know plenty of people who love to plan Disney trips *cough cough* and would be happy to help you out. Don’t get overwhelmed – you might feel like you’re trying to take a sip of water from a fire hose because all the information just comes gushing out. We can’t help ourselves sometimes. Go for a lunch or coffee date, take a deep breath, and ask specific questions. Don’t forget to take notes – there is a lot to remember! 3. Prioritize. Know what is important to your family for this trip. Go ahead and use your Fast Pass+ to take advantage of three things you want to do each day, even if that’s all you plan. Table Service meals every day with required reservations may not be your thing. That’s totally ok! 4. Don’t stress yourself out. 5. Consider working with an Authorized Disney Vacation Planner. A DVP can help you make some of those big decisions and make suggestions for your family. Their service is free to use, and some can even offer an agency gift now and then. Know what a DVP does and does not do. They can help you with suggestions on where to stay and where to eat, and make your reservations and FP+ selections for you. They may also have some tips on activities you might enjoy. But they do not make your daily touring plan or schedule your entire day, and all reservation changes must go through them. 6. Decide how you want to tour the parks. Do you want to go to the parks every day, or would you rather spend time at the water parks, hop over to Universal, or even make a day trip to the beach? Don’t feel like you have to pack every second with Disney. If you want to, that’s great. But if you don’t, that’s great, too. 7. Properly manage your expectations for what touring will be like if you decide to sleep in or just don’t want to be at rope drop every morning. For instance, if you decide to hit the park at 10 a.m., know that everything will be in full swing when you arrive and ride lines will be well-established. That’s still ok – but you must understand that arriving later will change your touring experience. Shannon over at WDW Prep School has a great article on having a “lazy-ish” Disney vacation. Check out what she has to say! 8. Don’t stress yourself out! The most important thing is to create a trip that’s right for you and your family – not the trip that someone else enjoys or expects you to have. Plan as much or as little as you like, and have fun. You might not actually be in a Disney commercial, but you can still feel like you’re in one! 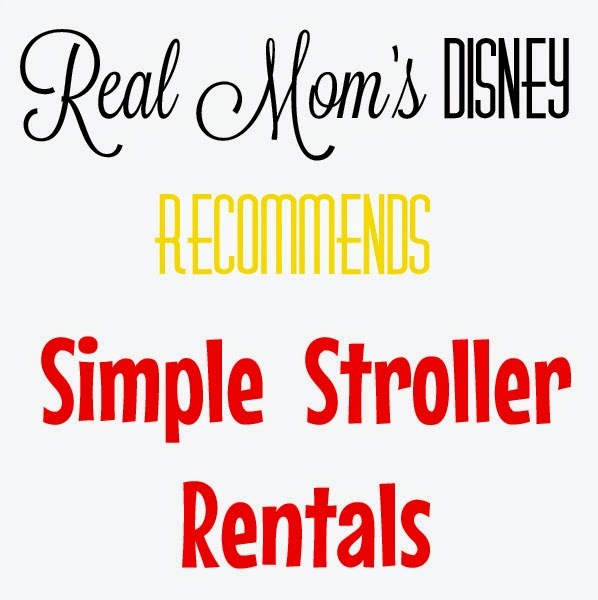 Real Mom's Disney wants to help your family have the best Disney trip possible. We love hearing from you! Contact us via comment, Twitter, Facebook, or email, and don't forget to follow us on Pinterest!